In Queensland, for the purposes of making an application for further provision from an estate, a child is eligible. However, the definition of ‘child’ is three fold. Under section 40 of the Succession Act 1981 (Qld), any child who is a natural child, is a child of the deceased. 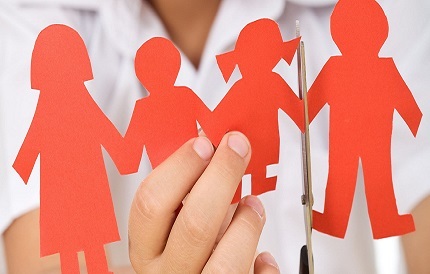 However, if a child was adopted out by their natural parent (the deceased), the adopted child will not be considered a child of the deceased under the Succession Act 1981 (Qld). Therefore, a child who was adopted out by the deceased, is not eligible to make an application for further provision from the deceased’s estate. If a child was legally adopted by the deceased, then that child will be considered the deceased’s child under section 40 of the Succession Act 1981 (Qld). It is important that a formal adoption took place. Where the deceased adopted a child, that child is eligible to make an application for further provision from the deceased’s estate. in a de facto relationship with the step-child’s natural parent at the time of the deceased’s death, where they were living together as a couple on a genuine domestic basis for a continuous period of 2 years, ending on the deceased’s death. The latter is difficult to conceptualise. As an example, let’s consider Fred and Jane who are living together as a couple on a genuine domestic basis for a continuous period of 2 years. Jane has one child, Bill, from a previous relationship. If Jane passes away whilst she has been living with Fred for a continuous period of 2 years, ending on her death, Bill will continue to be Fred’s step-child for the duration of Fred’s life. If this blog touches on an issue which is present for you, I encourage you to seek legal advice. There are concepts such as ‘what is a genuine domestic relationship’ and ‘what do I need to show in order to make an application for further provision’ which are relevant to your situation, and need to be considered before taking any steps.